WiFi is available through Wildcrest park, you will need to register, pay as you go. A £50 deposit will secure your booking. Please note the £50 booking deposit is non refundable. The balance plus a £100 security deposit is payable 8 weeks before your stay. The security deposit is to cover any damages, and will be refunded back to your account at the end of your stay. When enquiring could you please confirm if you will be bringing any Pet Dogs. Our caravan welcomes up to 2 x small/medium size well behaved pooches. This will help us when giving you a quote for your holiday period. Port Haverigg Marina Village Park is owned and operated by Wyldecrest Parks. There is a 200 acre lagoon where you can sail and canoe, or just relax at the waters edge Ski Bar. Port Haverigg Water sports by the lagoon edge offer, Paddleboard hire, Wakeboard, Water-ski, Kneeboard, Banana Boat, and Ringo sessions . It is located in an area of outstanding natural beauty with views of the Irish Sea, Duddon Estuary and the Lakeland Fells with rental availability throughout the year. We overlook the RSPB Hodbarrow Nature reserve with its abundant wildlife, the Lake District National Trust Park, and the lakes of Windermere and Coniston are a 30min drive away. The locality around the park consists of the town of Millom and the village of Haverigg. Leave the park by the Ski Bar’s entrance and, within a five minutes walk, you have what “The Mirror” rated as the UK’s 3rd Best Hidden Beach, with miles of stunning sand, dunes and gorgeous coastline. Here you will find a fantastic park for the kids and a beach cafe. The town of Millom is small but has all you need: banks, supermarkets, petrol station, take away and more. 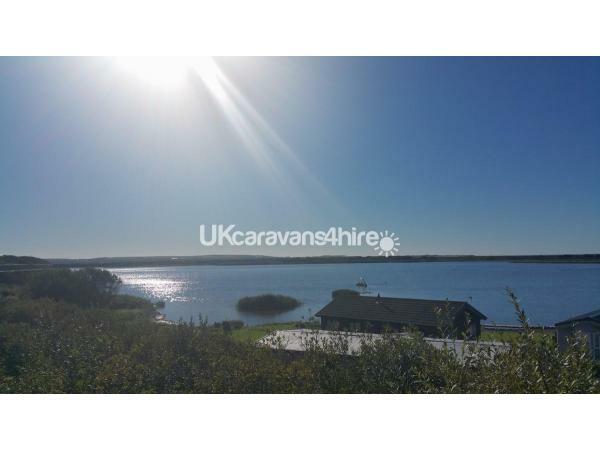 The lake is enclosed by RSPB Hodbarrow Nature Reserve which is well worth exploring and on the other side is the Sea and some fantastic coastline. Within a 35 minutes drive you can be at Coniston Water, the infamous lake where a world record attempt went fatally wrong. And a little further you can be at Lakeland Motor Museum and Donald Campbell tribute or Lakeside with the steam trains, aquarium and boat rides. The Southeren end of Lake Windemere is only 45mins drive from the park, where you can catch a steam train at Lakeside & Haverthwaite Railway stations, then a boat up the lake to the towns of Ambleside and Bowness. Or if you prefer to drive to Bowness on Lake Windermere it takes 1hour. 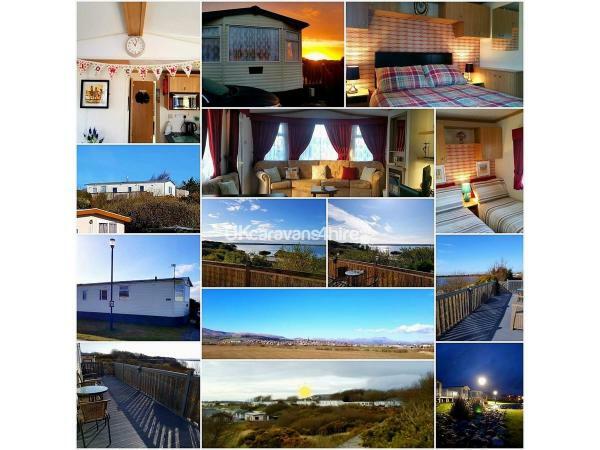 With fantastic walks, water sport and outdoor adventures, Port Haverigg can offer the adventure you want, or be the quiet retreat you need as the park is far enough away to be relaxing or close enough to help you have some adventures. The park is located within 40 minutes of the M6 and the scenery will leave you speechless. It is simply breath-taking. The Ski Bar is down by the waterside, offering bar meals and live entertainment. Herdwicks Restaurant at the top of the park is a family-run Coffee House, Bistro & Pizzeria. Wi-Fi is available from Wyldecrest who own the park, when searching connect to the Port Haverigg connection. There are prices for daily, weekly or longer, and you will need a credit / debit card or a PayPal account to register to use. Please note we have no responsibilities for the Wi-Fi. There is a railway station in the town of Millom, 1.3 miles from holiday home. The railway station is a stop on the scenic Cumbrian Coast Line 16 miles north of Barrow-in-Furness. It is managed by Northern, who provide all passenger train services. 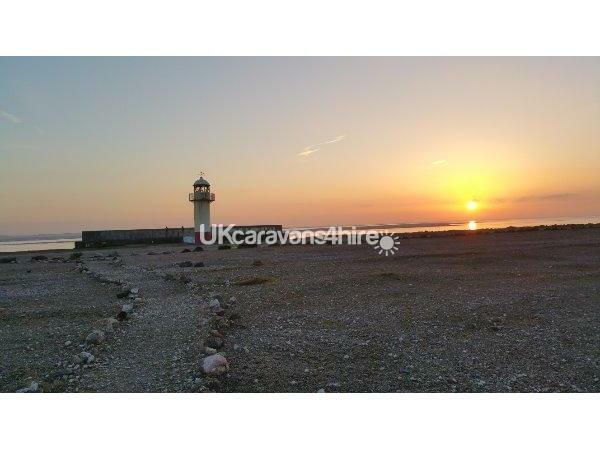 Millom - Ravenglass - Whitehaven. Please copy and paste the following links to your browser. Additional Info: Watersports Centre, Lake Side Bar, Herdwicks bar, fishing and pizzeria. A lovely children's' play area, equipt with a pirate ship.Plus access to sandy beaches and miles of publics walks. Dog Friendly with doggy litter bins. The park has two entries (Slipways) to the lake, one in the secure boatyard and one at the other end of the park by the Ski School and Ski Bar. Both are secure and family friendly. The Ski Bar is a lively Bar which hosts the many water sports events happening year round at Port Haverigg. The Ski School provides the equipment, safety and boats for your fun and enjoyment. Want some fun with the kids? Not a problem. Banana boat rides are available and the kids will love them. Port Haverigg is the ultimate family friendly holiday destination. There is always something happening on the lake, whether it is a family having some fun or learning to ski or a high profile competition. Just recently a high profile Ride and Slide took place in which the UK champion competed. If only for the amazing water sports on offer here the park is worth a visit. 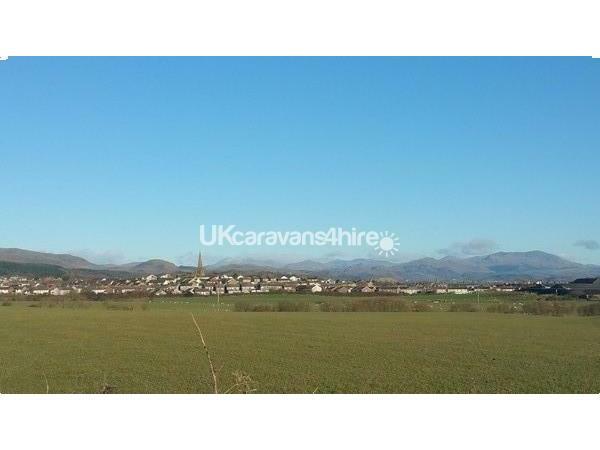 A home from home holiday in a spacious caravan with stunning views. The welcome package was very thoughtful! The Lowchens has catered for everything, even the dogs! The area is great for dog walking and there are some lovely places to visit not too far away. Managed to have a lovely relaxing time, even with the dogs! Thank you for leaving a lovely review, so pleased you and your pooches had a good time. Just returned from a fabulous week in this caravan. 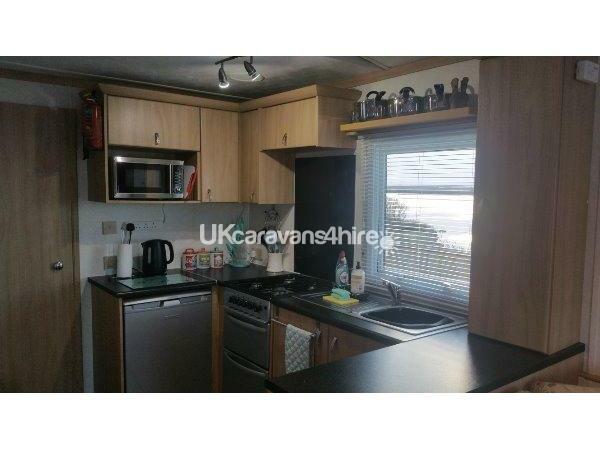 Lovely clean caravan, with everything you might need, including chopsticks ! The bed was very comfy, not something you usually find in a caravan. Lovely decking with gates, making it very secure for your four legged friend. The view from the decking is amazing, making it a very relaxing holiday. 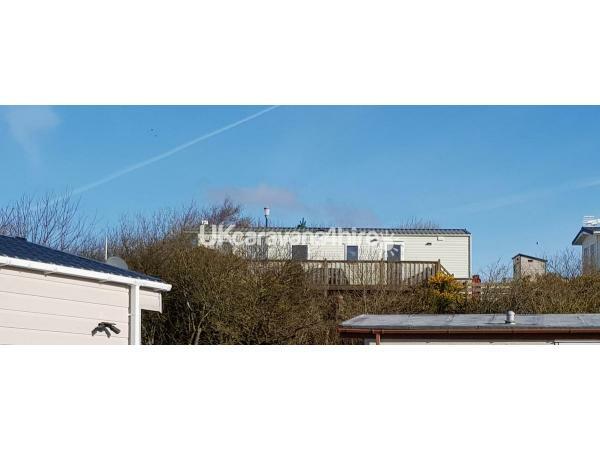 Apart from the marina there is a large sandy beach just a stroll away, lovely for long walks with your dog.We highly recommend this caravan and hope to return again. Many thanks for taking time to leave a lovely review. We are both so pleased you all enjoyed your stay, and look forward to having you stay again. Thank you so much for leaving a lovely review. We will try our best to book some Sun on your return. ???? We are both so pleased you were still able to enjoy your stay. We are so Glad you all enjoyed yourself. It's always nice to read a nice review. Thank you for taking time to leave this review. It's great to stay somewhere that is genuinely dog friendly, there were lots of well behaved dogs on the site so there is a market for it! The caravan is very well equipped it had everything we could have wished for and more. Outside is a full length deck with seating and tremendous views. The park is in a nice quiet location on the coast and we found it easy to get out and about into the heart of the Lake District by car. Would highly recommend 10/10. Had a lovey weeks holiday at The Lowchens. Beautiful caravan, very clean and very well equipped. Lovely views. Enclosed decking was perfect for our dog. A lovely relaxing place to return to in the evening after spending days at the very busy lakes. Many thanks for taking time to leave a very positive feedback. We are both so pleased you enjoyed your stay at The Lowchens, and found it relaxing. Everything you could wish for, right down to chop sticks! Peace and tranquility, beautiful place to recharge the batteries. Even our normally anxious dog was chilled here. Totally recommend it, we will be back. Thank you for the commitment and care you give The Lowchens, it shows through in the detail. Thank you for taking time in leaving a lovely honest review. We both wanted The Lowchens to reflect what we would both expect on a relaxing break, right down to the chop sticks :) So pleased Echo had a few chilled out days. Hope to see you all again. Once again thank you. Just returned from a wonderful few days in the lowchens . Beautiful caravan with a lovely view. Have stayed in many caravans over the years and this is one of the best. 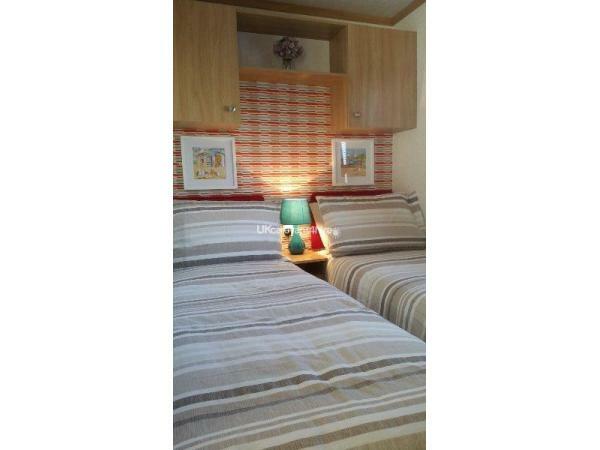 The caravan is beautifully decorated with all utilities you could want and the beds are sooooo comfy. Love the lights round the decking my daughter thought it was very pretty. Very peaceful place will Definitely be back. Thank you so much for taking the time to leave lovely comments, and give us an excellent review. Me and Dennis are so pleased you all enjoyed your stay, and would look forward to welcoming you all back. Thank you again for choosing to stay at The Lowchens. Just returned from a fab couple of days in the Lake District. The weather was superb...hotter than the Costa Del Sol!! The Lowchens is in a lovely position overlooking the lake & a real sun trap on the decking. Inside is beautifully clean, everything needed was supplied. We’ve stayed in many self catering cottages over the years in various places & half of them were nowhere near as well equipped as The Lowchens , Mark & Dennis have thought of everything & the welcome pack of biscuits/milk/tea/coffee was a lovely addition. We were visiting friends in the area & will def recommend this place for their future visitors!???? Thank you so much for leaving a lovely review. We are both do pleased you all enjoyed, and a bonus having the lovely weather. I cannot fault this accommodation. I made a last minute booking on the Thursday to arrive the Friday and everything was faultless. 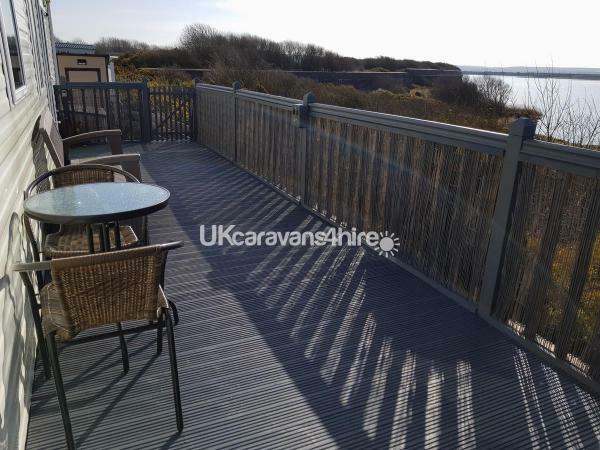 The location of the caravan is a sun-trap and my dog and I spent a lot of time on the decking as well as walking on the beach and the circular walk around the reserve. The caravan was spotless upon arrival, with a welcome pack of coffee, teas, milk and biscuits. The owners Mark and Den were both charming and extremely helpful. Den's idea of a pooch paw bowl is quality! The van itself is decorated tastefully and the bed is comfortable. Had I not had commitments this week, I would surely have extended my booking! Thank you guys for a fabulous break. I Loved it!! Despite the wet weather we had a lovely time at the caravan and was extremely comfortable, including our dog. A very well equipped van, warm and cosy and can't wait to return for more walks and hopefully some kayaking. Thank you for taking time to leave a review. We are glad you enjoyed your stay, even though the weather was not to good. We look forward to welcoming you back, and hope you get the chance to enjoy kayaking on the lagoon. Thank you both for taking time to leave a review. We are both pleased you enjoyed your week, we appreciate your feedback, and would welcome you back anytime. Thank you again for choosing to stay at The Lowchens. We love welcoming you back Karen. Thank you so much for the lovely review. I will personally thank the guys on site when I visit next, and make them aware how you appreciated their help during a power outage at the park. I bet it was cosy in the lounge, torch light and gas fire on. Hope to see you back soon and love to the Pooches. The Lowchens was lovely. The owners were extremely accommodating and what they have done with the place is beautiful. 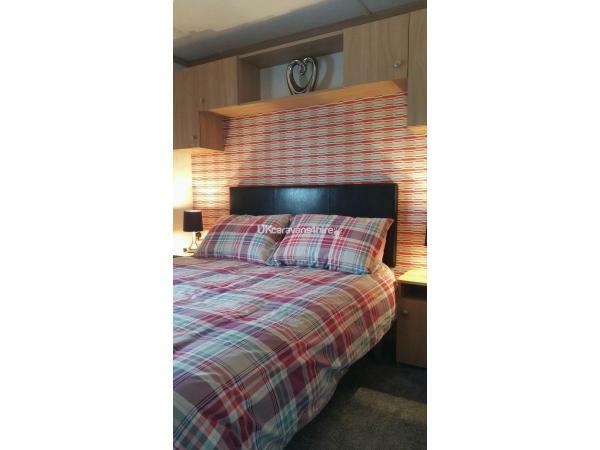 All bedding was spotless and there is everything you need for a self catering holiday. The spot is gorgeous and Port Haverigg is lovely and tranquil. We would definitely stay again. Thank you for a great break. Many thanks for taking time to leave a review. We are both so pleased you had a lovely stay, and looking forward to having you stay again in the future. Thank you. We stayed here last yr with our 2 children & 2 dogs it was lovely. Well equipped with everything you need lovely & clean.. the walks are perfect for dogs & getting the whole family out. If the weather turns bad there's a DVD player with dvds what came in handy while daddy took the dogs out in the rain ???? were looking at returning for a short break this year thanks .. Thank you for your review, and we looking forward to welcoming you back. Perfect holiday home in ideal location. The Lowchens provides a perfect location for beautiful views and catching the sun on the decking overlooking the Lagoon. The Lagoon and trees nearby are a birdwatchers paradise. The caravan is just beautiful and so cosy and comfortable with every need catered for. Lots of dog walks and secure outdoor area on the decking for our precious pooches. Right at the foot of the lake district and cumbrian coast line there are plenty of days out too plan. A place to recharge your batteries and get away from it all. You will have a lovely holiday staying in The Lowchens. Thank you so much for your review Sue. We are both so pleased you and Alfie enjoyed your stay, and look forward to welcoming you back in the future. A delightful 3 nights break just what was needed following Christmas. On arrival the caravan was cleaned to a very high standard , and the welcome pack was a lovely touch after the journey. We had been warned it was going to be cold weather, but the stay was made cosy, with extra heating if required in the form of oil fired radiators in addition to the gas central heating, all at no extra cost. We will defiantly be booking a return, a fabulous undiscovered part of Cumbria. Many thanks for taking time to leave a review, much appreciated and we look forward to welcoming you back. We had the most amazing stay at your holiday home at Haverigg holiday park. We also had good weather. We are both avid dog agility people so spent most of it on the beach or at the show! The caravan had everything we could wish for and more. Lovely choc biscuit and a pint of milk to get us into the swing of the weekend. We sat out in the evening and chilled with our G nT ;) Sue got 1st Prize with her little dog and my naughty collie managed 7th in a large class of dogs. Will definitely be coming to stay again and want to thank you very much for being such thoughtful people. Louise and Sue thank you for taking your time for writing a lovely review. Me and Den are so pleased you enjoyed, and bonus with the weather. Also well done to your pooches. Look forward to welcoming you back. Thank you again. We had a 5 day stay. 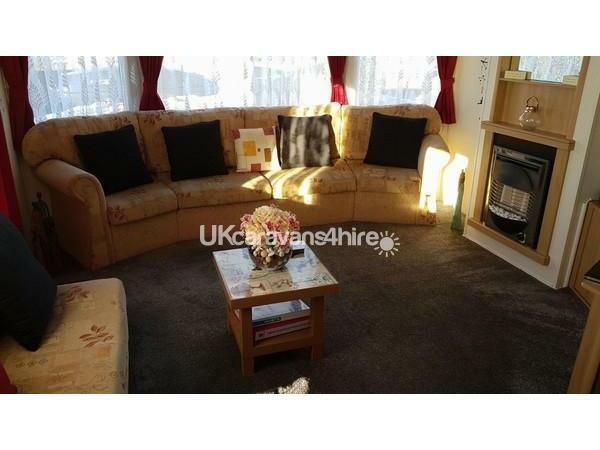 Great caravan, well appointed, homely, everything you need. Perfect base for travelling around the area. Great sight for views and relaxing. Walk around RSPB Hodbarrow was lovely right on the doorstep, perfect. Will plan another trip. Lindsey, Ian and Thomas. May thanks Lindsey for taking time to leave a review. So pleased you and your family enjoyed. Me and Den look forward to welcoming you back. We have just spent a few days in this fabulous accommodation. Beautifully looked after and beautifully presented holiday home. Everything we needed was there. Lovely welcome tray was much appreciated. Add great views - what more could you want? Hope to return. Many thanks for taking time to leave a review. Me and Den are so pleased you enjoyed your short break. Look forward to welcoming you back. I've never stayed in a static caravan home before but found this so comfortable and well thought out. My pampered pooch and I arrived, after a long journey, on a lovely sunny afternoon and loved the 'chill out' on the veranda overlooking the beautiful estuary. The welcome pack was very much appreciated. The holiday home is well equipped and has all you need and is a fantastic base for exploring the Lake District. Regrettably our stay was cut short by the abrupt change in English weather! Thank you Carol for taking time in leaving such a lovely review. Me and Den are so pleased that you and your pampered pooch enjoyed, such a shame about the sudden change in the weather. We are still working on plans to try and secure sunshine for all that choose to stay at The Lowchens. It was a pleasure chatting with you on the telephone and exchanging our doggie stories. We would love to welcome you again. Mark & Den. PS Den really appreciates the mention of the welcome pack, that is all his hard work and still a piece in the making. Thank you Marilyn so glad you Jeff and Betsy enjoyed. Even got the weather I promised. Love to have you back. Thank you again for taking time to write a review. Great place to stay, everything you need is in the home. Amazing views. Very professional service from start to finish. Will definitely recommend this place and will return. Thank you for your review and comments. We are both pleased you enjoyed your stay. Your comment about our service is very uplifting as it's our first year of letting The Lowchens. We both look forward in welcoming you back. Thank you again for choosing to stay. We had a lovely Easter break here. The site is well maintained and for all it was a busy weekend was quiet. 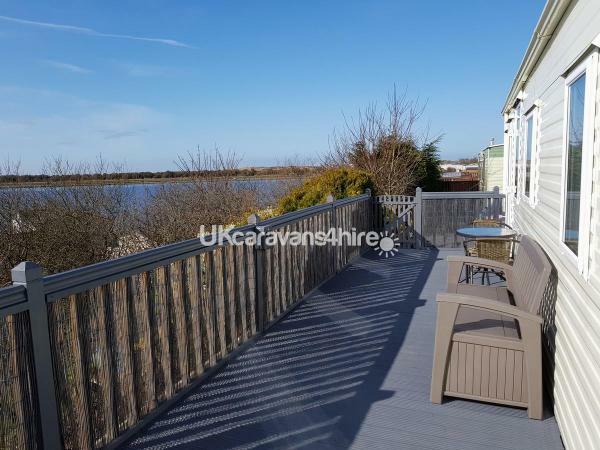 The Lowchens is a perfect holiday home with fantastic views of the lake from the private decking and is only a short walk away from the beach. It is very clean, well looked after and we felt there was nothing extra that the owners could have provided to make our stay any more comfortable. The tea/coffee and biscuits on arrival was unexpected and really appreciated after a long drive. Would highly recommend and definitely return. Thank you Joyce. Me and Den are so pleased you enjoyed. And look forward to hearing from you again in the future. Many thanks for taking time to leave a lovely review. Just returned from a GREAT few days in this beautiful caravan. A real home from home with all things catered for. Excellent service from start to finish - would highly recommend! Thank you!! Thank you very much for taking time to write a review, and your recommendation. We are pleased you had a fab time, and the weather was a bonus. Look forward to welcoming you back. Glad you and your doggies enjoyed. Thank you for the review. Look forward to welcoming you back. Had a fab week with friends and our 2 x dogs. Lovely location, private and great views. The park it's self is well maintained with a nice bar with live entertainment on the Friday night during our stay. The Lowchens is well maintained, clean and had everything needed for our stay. Already thinking about booking a return. Glad you enjoy your stay. Thank you for the reiew and we look forward in welcoming you back.